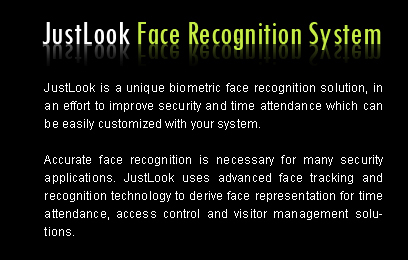 JustLook is a product of Aditech Infotech - a major IT and security solutions provider company based in India. Our main focus is to provide customer satisfaction with quality work, considering that as our highest priority to provide complete satisfaction to our clients, we survey the market, perform analysis on the raw data, and then we deliver our product to you. You might have discovered JustLook just now, but we have been around since long. Silently with respect to our Clients requirements, we have been creating and developing products to serve a multitude of professional categories and concepts. Our efficient team works hard in order to add wings to your dreams and helps in making you confident to dream further. We value our customers. Prioritizing their requirements the most we come up with different products by researching the market. We maintain complete transparency so that our good work could actually benefit you and our motto for developing the product can be accomplished. You can expect cost effectiveness and time bound services from us. We offer you services which can mutually benefit each other. Apart from the marking reliable products we attempt on constant innovation and excellence. Being customer satisfaction as our first priority, our aim is to serve them till the extent so that they can dream unlimited. We want to serve as strategic business partner of our precious clients in the discipline of biometric face recognition system so that we can ultimately step into the global market with the same. Thus you can expect complete security through our products so that in future, 'you can trust us and we can build your dreams'.